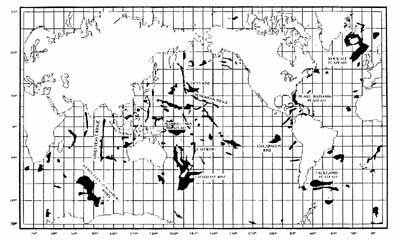 Worldwide distribution of oceanic plateaus (black). (Reprinted with permission from Storetvedt. 1997. Copyright by Fagbokforlaget and K.M. Storetvedt).